An amazing dragon artwork by Ruth Thompson for this axe. 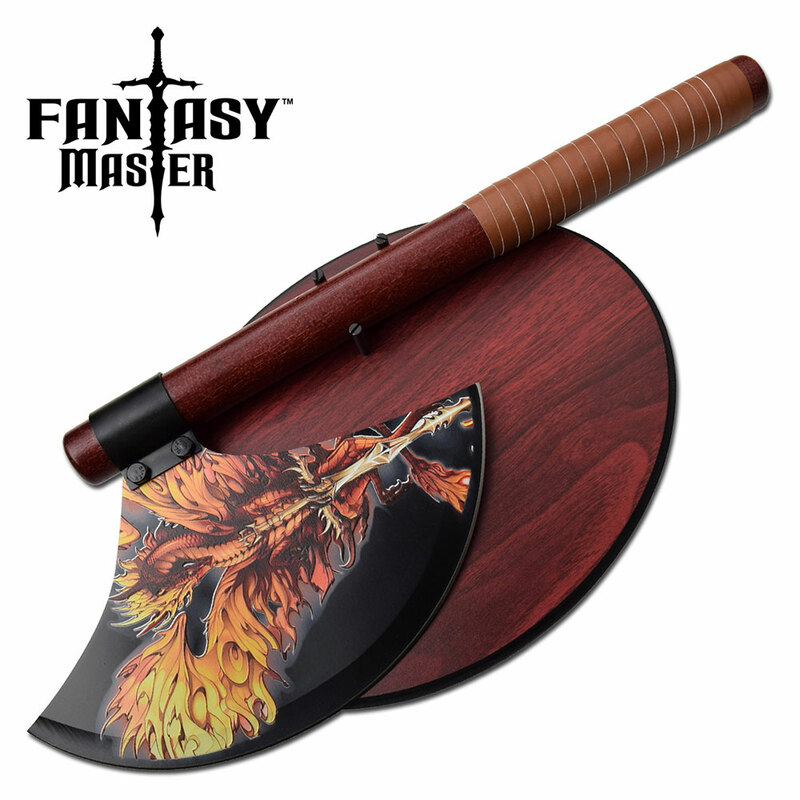 A wonderfully designed decorative fantasy axe. It comes with a wood plaque to hang on the wall. The axe is 18.5 inch in length with a 10.5 inch steel blade. Embossed printed dragon artwork on blade. 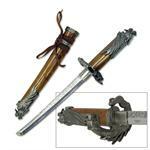 Wood material handle is 15 inch long.